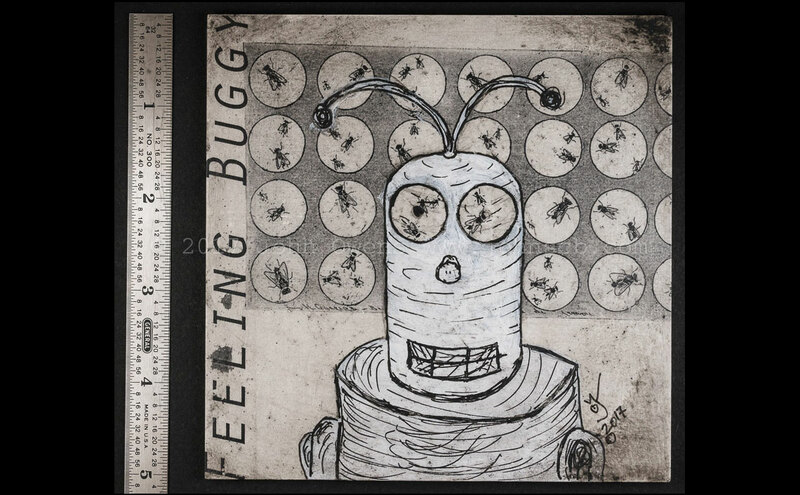 Mixed media – "Feeling Buggy"
An original work on hardboard panel signed by artist, 2017. Media: Mixed media image transfer using acrylics, ink, tempera paint with original and found imagery on Ampersand™ Claybord™ archival hardboard panel. 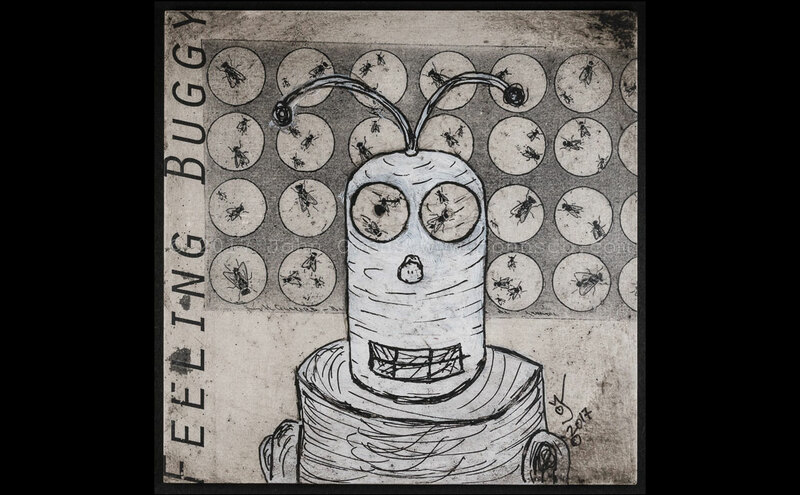 The process used to create this piece uses a combination of found imagery and computer-generated text combined with an image transfer technique using acrylic matte medium. 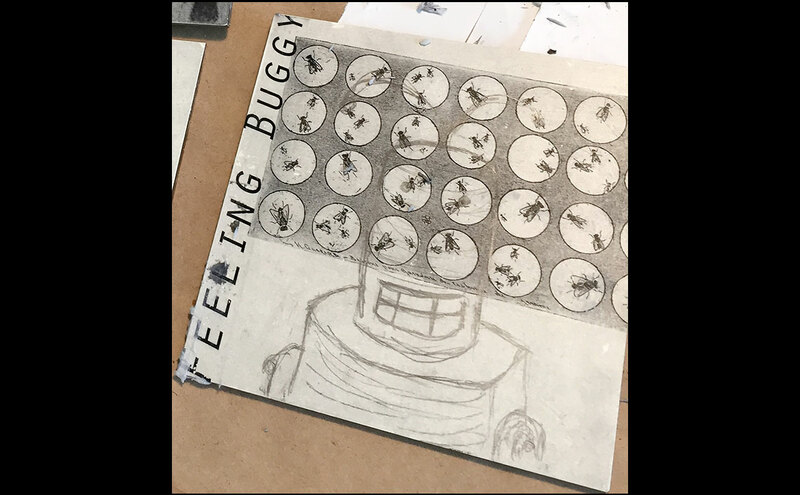 Once the base surface image is prepared additional image transfer layers are added along with hand painted elements and embellishments. The kaolin clay surface of the panel is particularly suited to this technique.